The chair can be disassembled quickly and easily with the removal of a single bolt. Easy to remove battery pack and compact, lightweight frame. Conveniently disassembles into four manageable pieces Fits in most vehicle trunks. Comfortable, full-size stadium style seat. Can be separated easily for transport! Long battery range, averaging 15 miles, means you can stay out longer between charges. 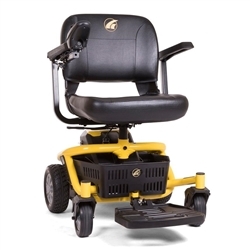 The large center wheels provide a smooth ride, while the rear casters add extra stability. The perfect foldable, lightweight option for easy travel!. Includes a back seat pocket and mesh under seat storage pouches. It also includes a comfortable foam cushion for support, calf support and heel loops standard. Fold-able, lightweight frame for storage and transportation. 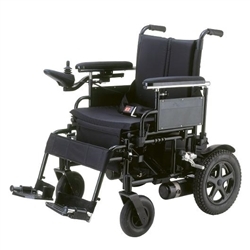 Heavy Duty folding power wheelchair from KD Smart Chair is made of a durable lightweight aluminum alloy that supports passengers weight of up to 396 pounds. The WHILL Ci offers amazing outdoor performance. The Model A is not only highly versatile, it's also ergonomically designed for all-day use. An innovative, one-of-a-kind electric mobility device with four-wheel drive. 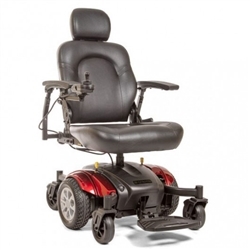 Travel Powerchairs are controlled by a joystick which allows for easy maneuverability anywhere you go.